Rouge took control of the country. Ms. Ung was trained as a child soldier, while her other siblings were sent to labor camps. After the regime fell, she and her surviving siblings slowly reunited. Funding provided by the author. 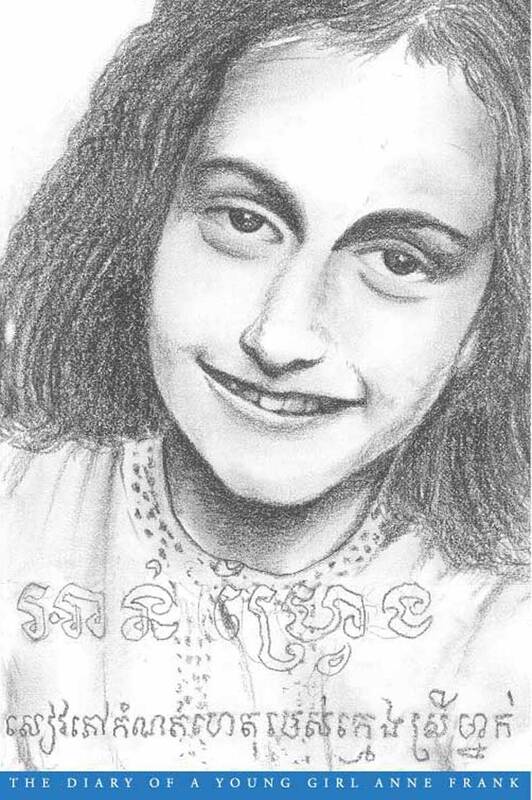 Bergen-Belsen concentration camp in March 1945, three month before her 16th birthday. Funding provided by the Government of the Netherlands, Bangkok, Thailand. Funding provided by US Agency for International Development, the Government of the Netherlands, and the Government of Sweden. “clean” backgrounds were given positions at Tuol Sleng (the central-level prison also known as S-21) or its branch office S-21D (Prey Sar prison) and various government offices. At least 567 of these men were later branded as “enemies” of the regime and executed at S-21. This monograph examines the careers of 40 soldiers who worked in Division 703. Most of those who survived the 1979 defeat of the Khmer Rouge returned to their villages in the early 1980s, often after spending time in prison as a result of their involvement with the regime. Funding provided by the United States Department of State, Bureau of Democracy, Human Rights and Labor. Cambodian-American Ung’s memoir describes her life in America and contrasts it with that of her sister, who remained in Cambodia after the Khmer Rouge regime fell. 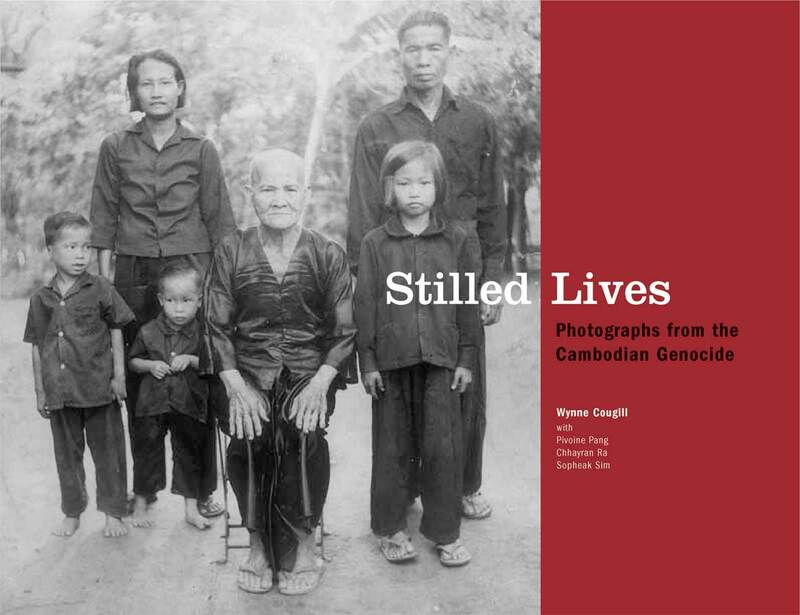 This book contains photographs and essays on the lives of 51 men and women, who joined the Khmer Rouge during the 1960s and 1970s. They were what the Khmer Rouge called “base people”: those from the peasant class who generally were treated less harshly than the “new people” (city dwellers and those associated with the former Lon Nol regime). The people profiled here served the Khmer Rouge as farmers, soldiers, security personnel, or cadres (those with some degree of command responsibility). 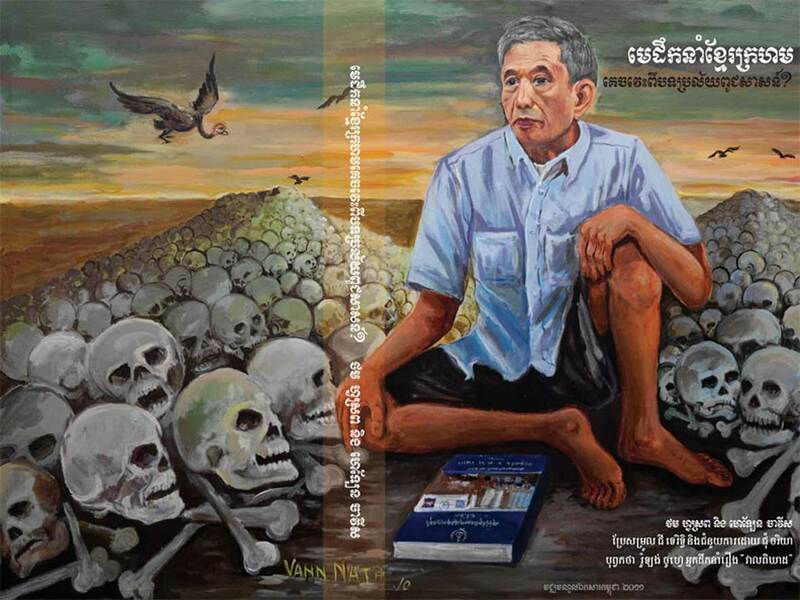 Although most Cambodians view the former Khmer Rouge as cruel and sometimes evil, this book shows that they and their families faced the same struggles and hardships as their victims, and points to our common humanity. Funding provided by the National Endowment for Democracy (NED). made the genocide possible. She also examines the roles of the United States and other members of the United Nations in betraying Cambodia. 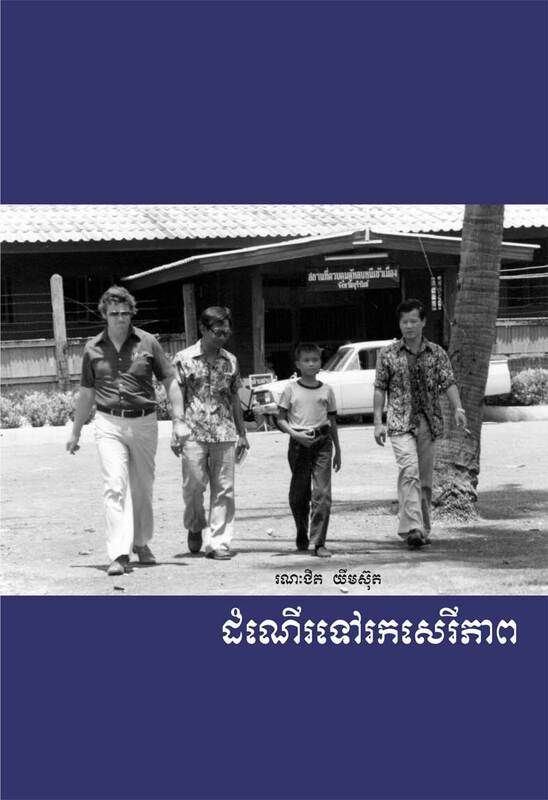 The book is based on the author’s personal experiences and interviews with Cambodian leaders and ordinary citizens. Funding provided by US Agency for International Development (USAID), the Government of Sweden and the US Embassy in Phnom Penh. Funding provided by NZAID (New Zealand) and the author. Funding provided by the Government of Sweden and US Agency for International Development. genocide of 1975-1979. But with Khamboly Dy’s A History of Democratic Kampuchea, Cambodians are at last beginning to investigate and record their country’s past. 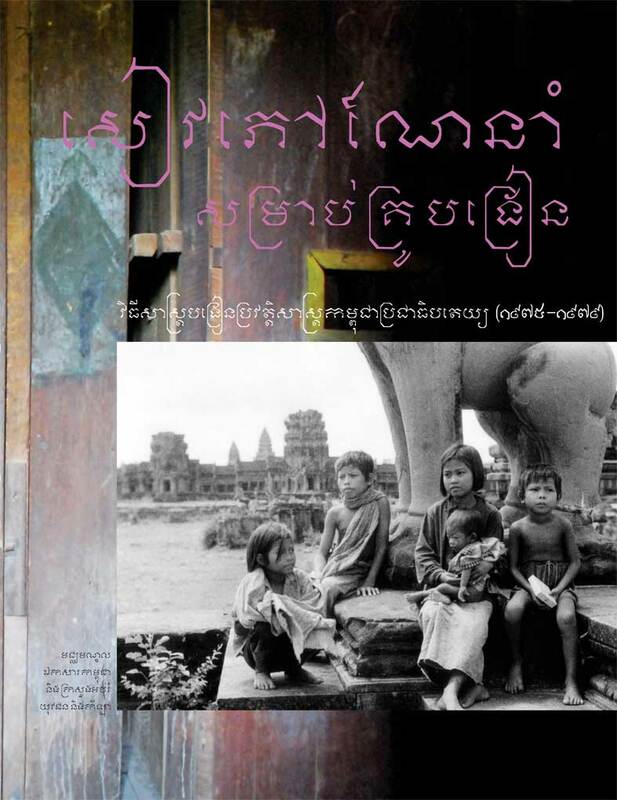 This new volume represents two years of research and marks the first such text written by a Cambodian. Writing about this bleak period of history for a new generation may run the risk of re-opening old wounds for the survivors of Democratic Kampuchea. Many Cambodians have tried to put their memories of the regime behind them and move on. But we cannot progress -- much less reconcile with ourselves and others -- until we have confronted the past and understand both what happened and why it happened. Only with this understanding can we truly begin to heal. Intended for high school students, this book is equally relevant for adults. All of us can draw lessons from our history. By facing this dark period of our past, we can learn from it and move toward becoming a nation of people who are invested in preventing future occurrences of genocide, both at home and in the myriad countries that are today facing massive human rights abuses. And by taking responsibility for teaching our children through texts such as this one, Cambodia can go forward and mold future generations who work to ensure that the seeds of genocide never again take root in our country. The text was submitted to the Government Working Commission to Review the Draft of the History of Democratic Kampuchea. On January 3, 2007, the Commission decided that, "the text can be used as a supplementary discussion material (for teachers) and as base to write a history lesson for (high school) students. Funding for this project was generously provided by the Soros Foundation’s Open Society Institute (OSI) and the National Endowment for Democracy (NED). Support for DC-Cam’s operations is provided by the US Agency for International Development (USAID) and Swedish International Development Agency (Sida). For centuries, Cambodia’s rural peasants had lived in modest circumstances with few entitlements, while the country’s tiny urban elite enjoyed more opportunities and privileges. But in April 1975 when the Khmer Rouge took control of Cambodia, they reversed this social order. Hundreds of thousands of city dwellers were evacuated to the countryside, where they were forced into hard labor. Despised by the peasants and Khmer Rouge cadres alike, these “new people” were viewed as parasites and imperialists, and their rights and privileges were removed. As many as two-thirds of them were executed or died as a result of starvation, untreated diseases, or overwork. 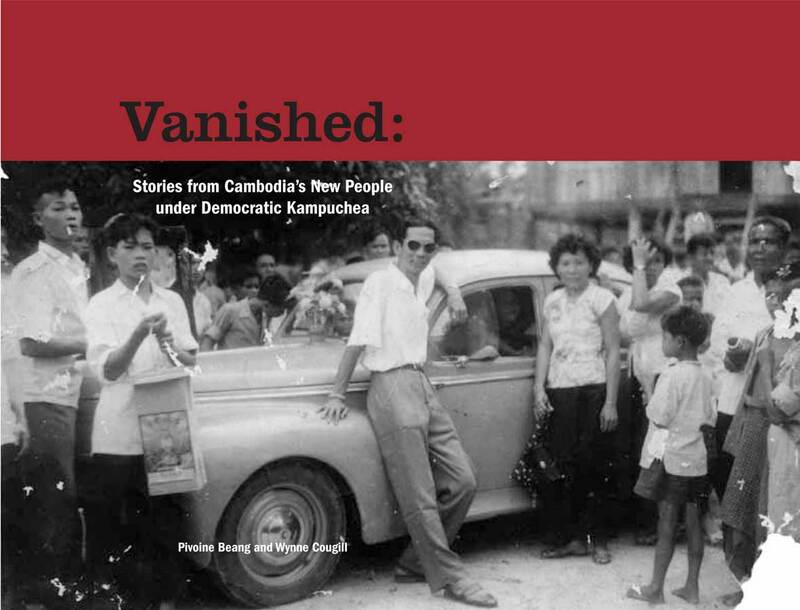 In this monograph, 52 new people who survived Democratic Kampuchea tell their stories and those of their loved ones under the Khmer Rouge. Funding provided by the National Endowment for Democracy (NED) with core support from the Swedish International Development Cooperation Agency (Sida) and the United States Agency for International Development (USAID). justice went unanswered, and the architects of Khmer Rouge terror enjoyed almost unfettered impunity. Only recently has a tribunal been established to put surviving Khmer Rouge officials on trial. 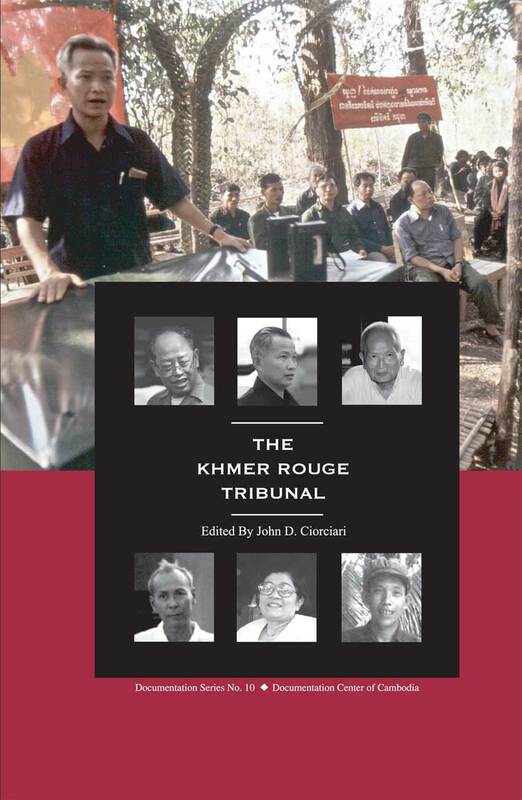 This edited volume examines the origins, evolution, and feature of the Khmer Rouge Tribunal. It provides a concise overview of legal and political issues surrounding the tribunal and answers key questions about the accountability process. It explains why the tribunal took so many years to create and why it became a "hybrid" court with Cambodians and international participation. It also assesses the laws and procedures governing the proceedings and the likely evidence available against Khmer Rouge defendants. Finally, it discusses how the tribunal can most effectively advance the aims of justice and reconciliation in Cambodia and help to dispel the shadows of the past. for both his commitment to genocide education for Cambodia’s children and his commitment to justice for Khmer Rouge victims. I would also like to thank H.E. Ms. Tun Sam Im for her tireless efforts to ensure that genocide education benefits all students in Cambodia. I am grateful to Dr. Chea Phala and Christopher Dearing who prepared the text, the translation and editing team, the 24 national and international teachers, experts, and scholars who helped produce this important guidebook. Generous financial contributions from Belgium, Denmark, Norway, Sida (Sweden), USAID (USA), and Canada, along with their unyielding support to global genocide prevention and Cambodia’s future, have also made this project a reality. Lastly, I wish to thank Dr. Hun Manet whose support and encouragement helped me get the textbook, A History of Democratic Kampuchea (1975-1979), off the ground and Mr. Khamboly Dy for his hard work in writing the first ever textbook on the Khmer Rouge period. 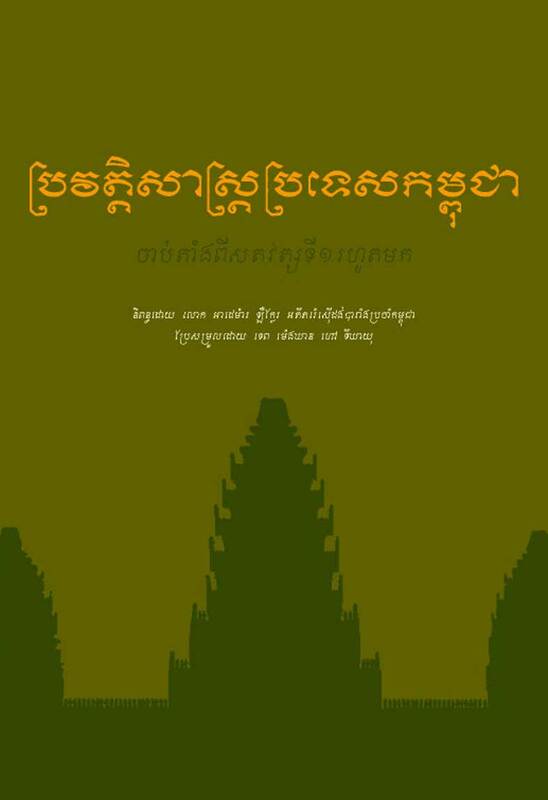 This guidebook will be used across Cambodian high schools, reaching an estimated one million students from grades 9-12. As part of DC-Cam’s Genocide Education Project, more than 3,000 high school teachers will be trained on how to teach A History of Democratic Kampuchea (1975-1979). Only by leaning from the past can we begin to reconnect all the pieces of our broken nation. I am humbled to be one of the servants of this important and noble mission for Cambodia and for my mother. This project has become the Truth Commission of Cambodia. Director of Documentation Center of CambodiaFunding provided by the author. 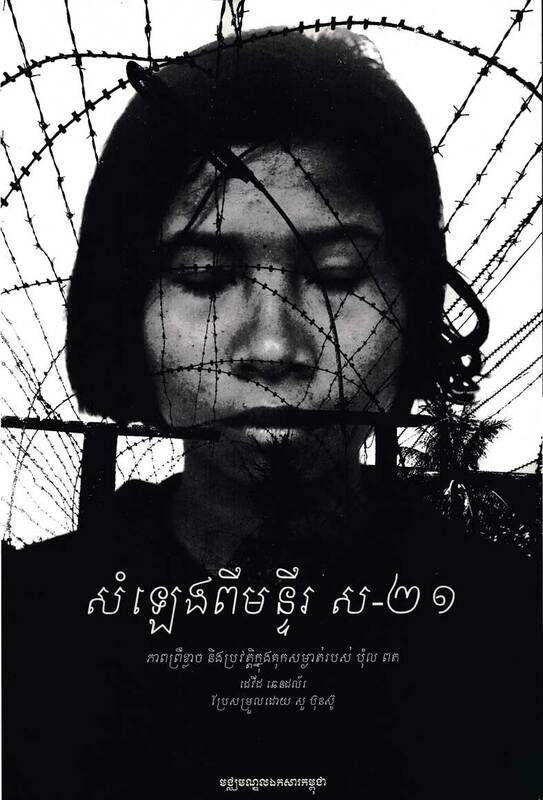 This book examines Cham Muslim women’s experiences under the Khmer Rouge regime through the complexities of memory and narrative and uncovers compelling stories of survival and resistance. Khmer Rouge genocidal policies ruptured ethnic and religious identities and resulted in the disproportionate death of the Cham group. Guided by their desire to preserve their families and their cultural identity, Cham women sometimes complied with Khmer Rouge policies, and sometimes secretly resisted. Their recollection of this era and lost family members contributes to the preservation of the Cham identity for future generations, as well as the collective memories of all Cambodians. So Farina has worked at the Documentation Center of Cambodia since 2003 and is currently team leader of its Cham Oral History project, which records the Cham Muslim community’s memories of the Khmer Rouge era (1975-79). 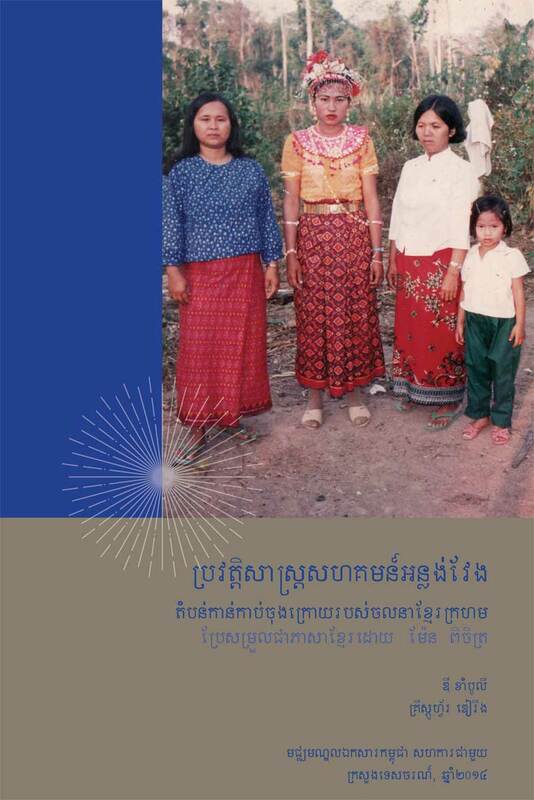 This research monograph, drawn from Ms. So’s master’s thesis, focuses on Cham Muslim women’s experiences under the Khmer Rouge. Ms. So holds a BA in Accounting and Finance from National University of Management (Cambodia) and an MA in International Affairs with a concentration in Southeast Asian Studies from Ohio University (USA). 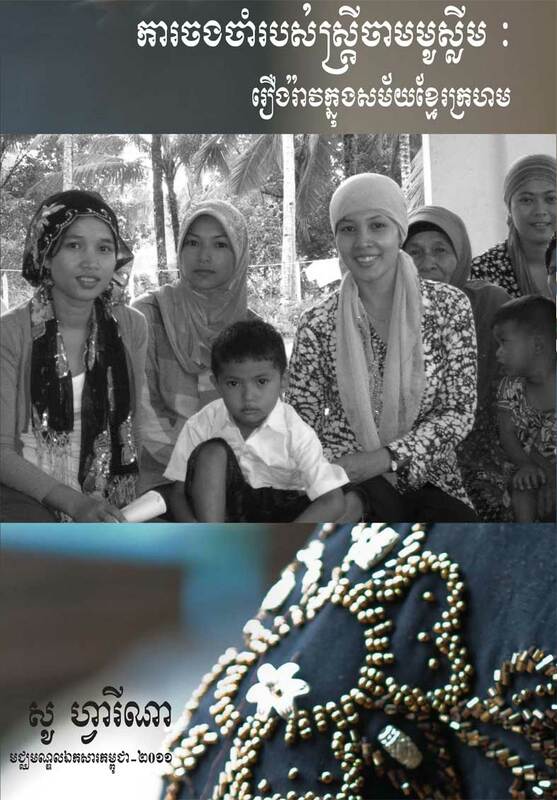 She has participated in international programs related to genocide, oral history, Islam in Southeast Asia, memorialization, information and technology, and truth commissions in Indonesia, Bangladesh, Thailand, Germany, Malaysia, South Korea, and the United States. Besides Khmer, her native language, she is fluent in English and familiar with Bahasa Indo- alay and Cham. Hijab: Headscarves are scarves covering most or all of a woman’s hair and head. The Arabic word hijab, which refers to modest behavior or dress in general, is often used to describe the headscarf worn by Muslim women. Muslim women wear the hijab for religious reasons, including the desire to be judged for their morals, character, and ideals instead of their appearance. Funding for this project was generously provided by the Open Society Foundations (OSF) with core support from U.S. Agency for International Development (USAID) and Swedish International Development Agency (Sida). Cambodia unparalleled in modern history. Approximately 2 million died – almost one quarter of the population. 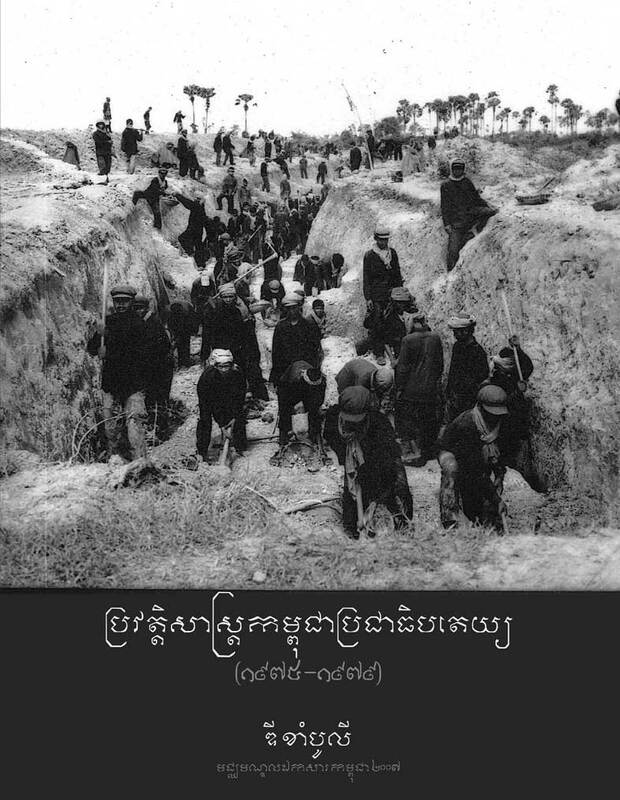 Taking an explicitly geographical approach, this book argues whether the Khmer Rouge's activities not only led to genocide, but also terracide – the erasure of space. In the Cambodia of 1975, the landscape would reveal vestiges of an indigenous pre-colonial Khmer society, a French colonialism and American intervention. The Khmer Rouge, however, were not content with retaining the past inscriptions of previous modes of production and spatial practices. Instead, they attempted to erase time and space to create their own utopian vision of a communal society. The Khmer Rouge's erasing and reshaping of space was thus part of a consistent sacrifice of Cambodia and its people – a brutal justification for the killing of a country and the birth of a new place, Democratic Kampuchea. 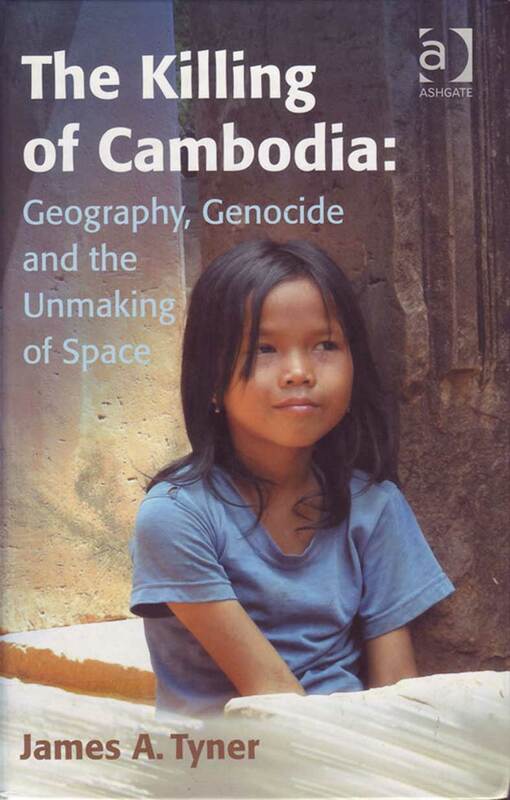 While focusing on Cambodia, the book provides a clearer geographic understanding to genocide in general and insights into the importance of spatial factors in geopolitical conflict. This book explores different forms of Cham identity in relation to this minority's history, society and culture. 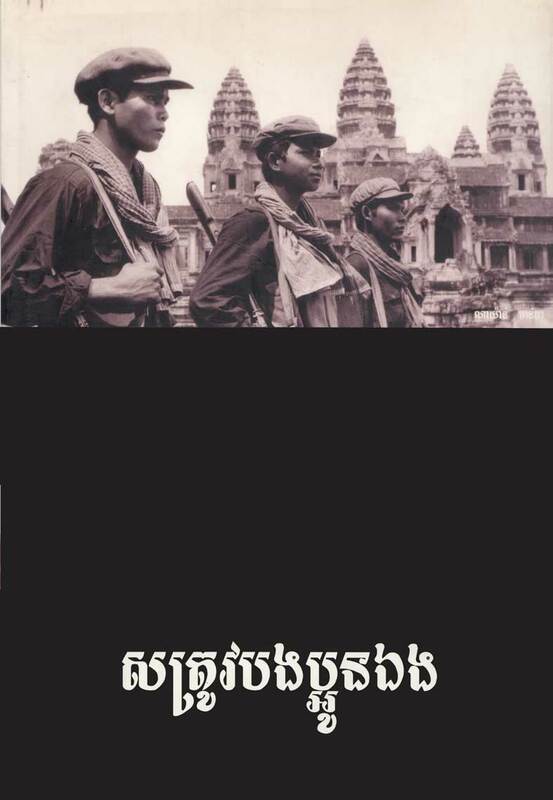 It has three goals: first, to provide the most comprehensive overview of Cham history and social structure; second, to illustrate how Cham identities have changed through time; and third, to consider whether in the aftermath of Democratic Kampuchea and the Cold War Cham became radicalized. Its theoretical position is that the group's religious, ethnic and other social identities can be classified as core (those that are enduring) and peripheral (those that are more changeable depending on new social and global contexts). Core identities include being Muslim (religious) and descendants from Champa whose indigenous language is Cham. Peripheral identities are sectarian, economic and political. As immigrants to Cambodia, Muslims, and victims of genocide, the Cham have been associated with terrorism. In the process of constructing their peripheral identities, after genocide and especially after the Cold War, they are suspected by some Khmer, foreign governments and international observers of having links with, attempting to and committing acts of terrorism, both in Cambodia and southern Thailand. Other factors such as weak secular education, unregulated and open Islamic revival, and the strong need for overall community development, such as improved living standards and education, led to further suspicions of terrorism. Cambodia's weak rule of law, fledgling financial system, immature anti-terrorist measures, corruption and porous borders also contributed to the terrorist stigmatization of the Cham. Terrorism is at the pinnacle of the problems facing the Cham in their attempt to revive their community and reconstruct their peripheral identities. Little has been studied about the Cham. By examining the Cham's origins in Champa, their arrival in Cambodia, religious conversion, political affiliations, and social structure, it is possible to understand better their core identities as ethnic Cham and Muslims and whether they have become radicalized. In addition, this book will shed light on the ways in which their peripheral identities change over time and how these identities are affected in an age in which Islamic revival, global aid and terrorism bring fresh challenges to the community. This research seeks to contribute to the study of identities of an Islamic and ethnic minority group in a Buddhist majority country as the group recovers from genocide, is increasingly exposed to global flows, and suffers from the threat of being pulled into global terrorism. It seeks to contribute to our understanding of the Cham which receives little scholarly attention. It also attempts to contribute to the study of identity. Eng Kok-Thay: Kok-Thay received his Ph.D. Degree in Global Affairs at Rutgers University in 2012. Born into an impoverished family in Chi Kreng district, Siem Reap province, Kok-Thay is the only son in a family of five siblings. As a child Kok-Thay frequently swam Chri Kreng River, which he jumped into from an ancient bridge spanning the river. Chi Kreng district is an area around Tonle Sap Lake where the Khmer Rouge frequently attacked in the 1980s and early 1990s. Accordingly, Kok-Thay's family fled to Siem Reap provincial town in 1991. Angkor temples became his playground, although some of the temples were still controlled by the Khmer Rouge. Attempting to understand the Cambodian genocide and civil war, Kok-Thay volunteered for the Documentation Center of Cambodia (DC-Cam) in 2001. Kok- Thay translated "The Journey into Light," a historical autobiography by a Cambodian American, which was published in 2005. Before coming to Rutgers University, Kok-Thay received his M.A. in Peace and Conflict Studies from Coventry University. In 2007, Kok-Thay completed his M.S. degree in Global Affairs with support of a Fulbright Scholarship. Currently, Kok-Thay is a Research Director and Deputy Director at DC-Cam. In this capacity, he has worked with scholars from around the world on their research on Khmer Rougerelated topics. He is currently supervising several research projects, and he also leads the Book of Memory project, which aims to document two million names and biographies of people who died under the Khmer Rouge. 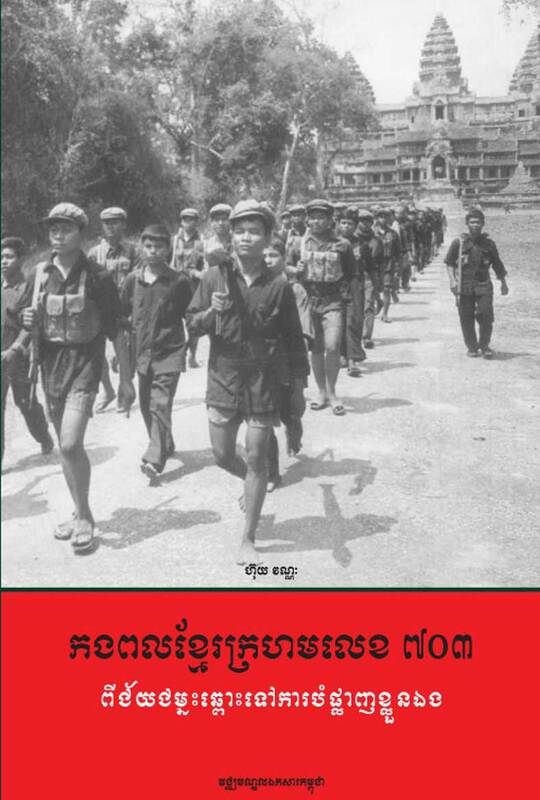 His research on the experiences of Cham people under the Khmer Rouge and their level of radicalism today is also being published by DCCam. History invites moral judgments, and in studying the people of Anlong Veng, it is easy to slip into an accusatory mindset. Anlong Veng was the final stronghold of the notorious Khmer Rouge regime—a regime which was responsible for perpetrating genocide, mass atrocity, and incalculable harm on the fabric of Cambodian society. It is believed that over two million people died during the regime, and to this day the country still struggles with the byproducts of this history. Many of Anlong Veng's residents were former Khmer Rouge soldiers and cadres, and without a doubt many either participated or assisted in violent acts. The reverse can also be said, which is that in studying the people of Anlong Veng, it might be easy to slip into an empathetic mindset in which the horrors of the regime and move-ment fade in relation to the stories and personal struggles of its individual members. Thousands of cadres and their families—including high-ranking communist leaders— were arrested and murdered throughout the country. The regime arrested, tortured, and killed members who joined the movement from its earliest days, and there was often little recourse or escape if one was suspected of disloyalty. Without a doubt, terror became a universal blanket that enslaved the society as a whole. Even after the regime fell, the Cambodian population—both within and outside of Khmer Rouge-controlled territory—suffered incredibly. The over-ten-year war between Vietnam¬ese forces and the Khmer Rouge produced thousands of casualties on all sides. For several years the people were largely dependent on humanitarian assistance, and famine and dis¬ease were a constant threat. 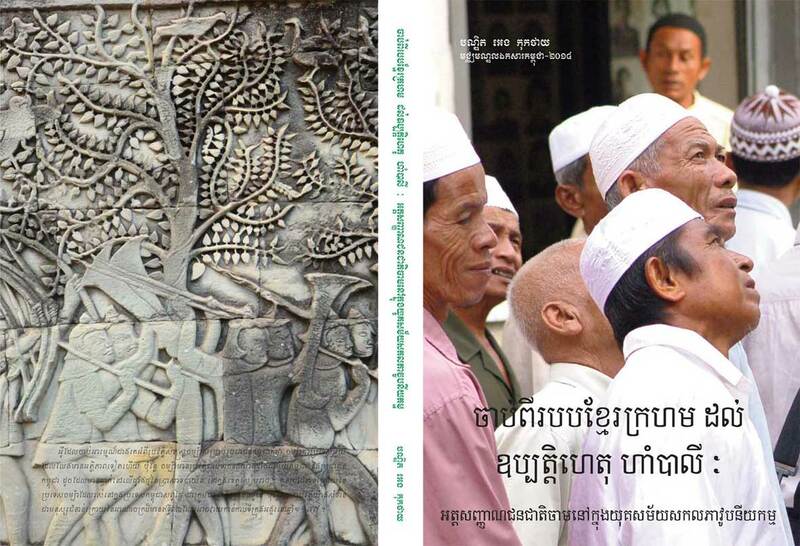 The purpose of this book is to neither condemn nor venerate the people of Anlong Veng. Instead, we hope to provide a view into an under-studied community and a voice to an otherwise under-heard people. It is a universal rule that conflict resolution and peace is built and sustained on an open-minded discussion of the past.